Before we get into the recipes, I want you all to know a bit about Kelly and what Be Well is all about. It’s not about starving yourself or trying to survive only on liquids. Be Well is about working with your body and the science that keeps you healthy and feeling full. 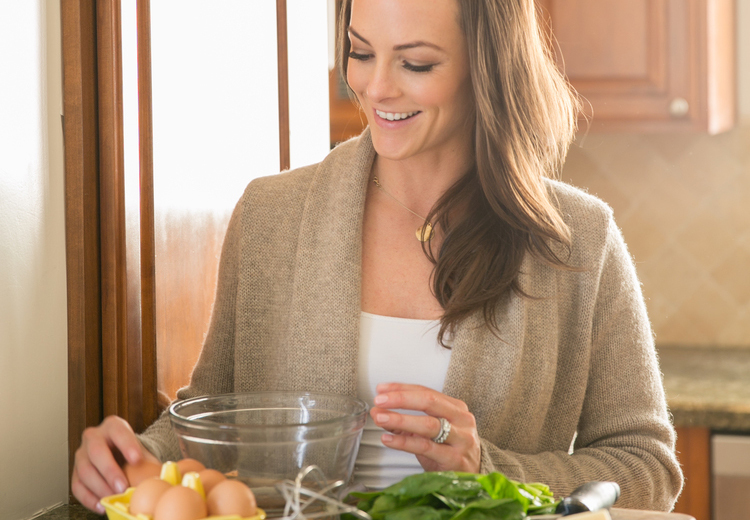 Kelly is a holistic nutritionist and health coach. She started her site to share her passion for clean living to a much larger audience. I sent her questions you all posted on my Instagram page, here we go! 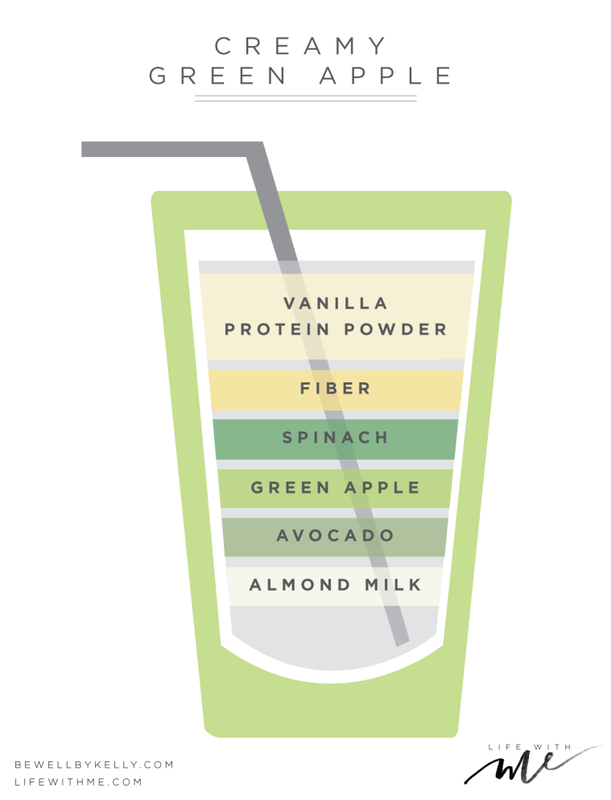 The #bewellsmoothie is a formula to help you develop a blood sugar balancing meal replacement shake in any flavor with enough protein, fat and fiber to keep you full. Many juice shops, grocery smoothie bars and smoothie recipes are loaded with sugar, specifically fructose sugar from excess fruit. Fructose sugar stores as fat 20-30% faster than glucose. 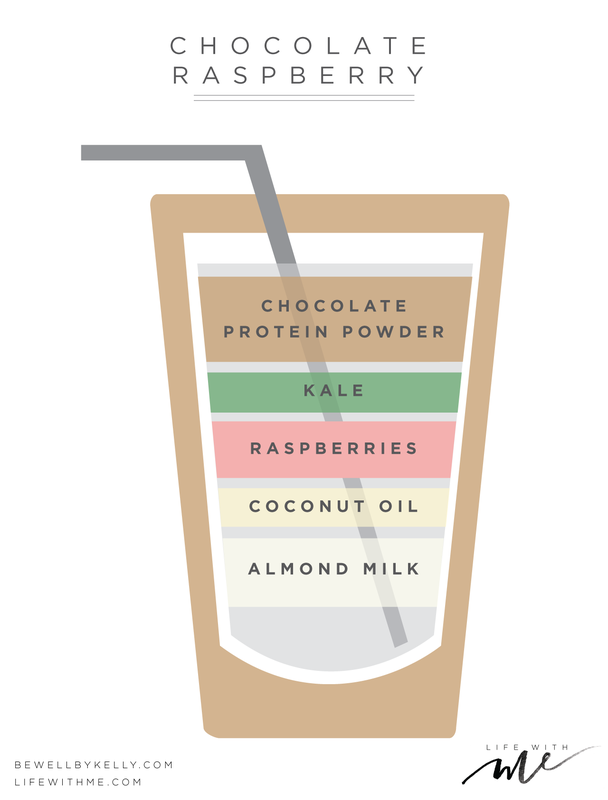 The #bewellsmoothie limits fructose to (1/4-1/2 cup) depending on your goals. Yes! If you have enough protein, fat and fiber at each meal you can elongate your blood sugar curve, which simply means, you will have energy to maintain a 4-6 hour window between meals. The window will allow your body to surge with human growth hormone and testosterone to burn away belly fat, calm insulin that slows fat burning and make you feel more relaxed. Check out www.bewellbykelly.com, our recipe page and articles page both share some of our favorites. The basic formula is meant to last in your body for 4 hours. Depending on your previous eating habits (lots of carbs, sugar or fruit…..it might take a little more to hold you over) We counsel clients to add an extra tablespoon of fat or fiber to help get to lunch without being hungry. If the added fat and fiber still don’t get you to lunch we take them from 20g of protein to 30. We want our clients snacking less so they keep insulin sensitivity high and prevent fast fat storage. Now let’s get into the recipes! 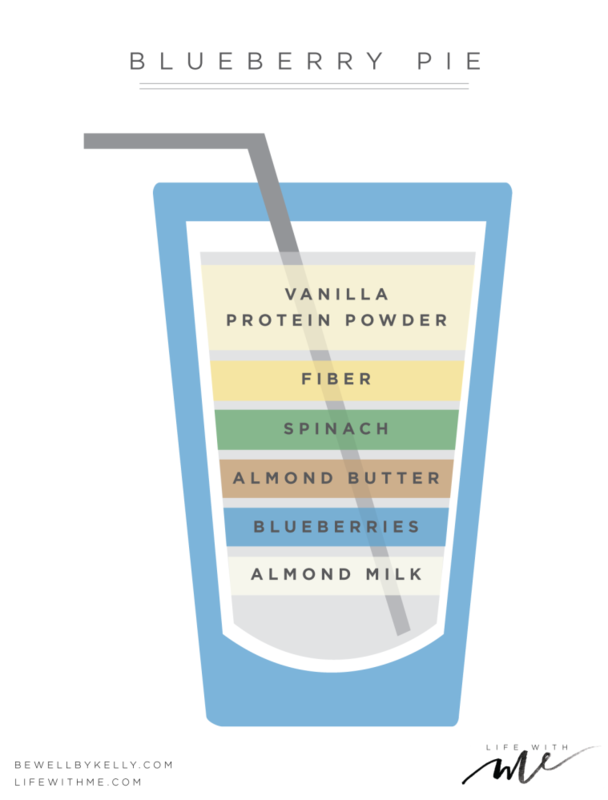 Think of the Be Well Smoothie as a formula for creating a custom drink. Find something you like in each category and combine it in the right proportions for something that’s personalized and good for you. Here’s the breakdown of the recipe and what you should have for each one. For protein look for a clean sprouted vegetarian protein or grass fed whey. For fiber you can use raw fiber powder or chia seeds, flax seeds, or even avocado. Greens can be anything from kale to spinach, basil, parsley, cucumber, anything green and leafy works. Fruit or high fructose vegetables can be whatever you like, berries, banana, mango, peach, carrot, just be sure not to overdo it. Frozen fruits are great if you like a thicker smoothie. For the fat category you can choose coconut oil, avocado, nut butter, or walnuts. 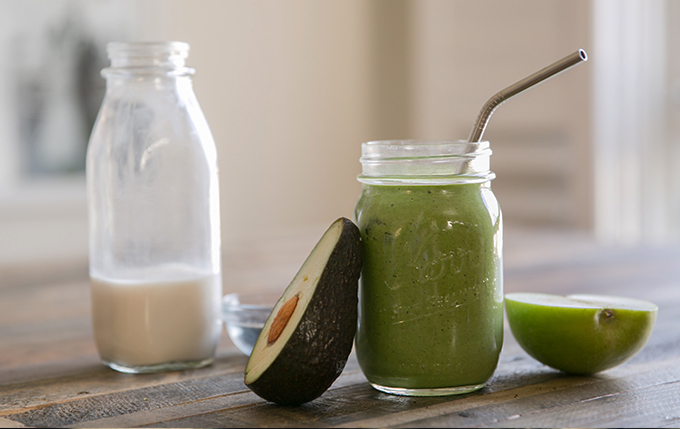 Liquids can be water, almond milk, coconut water, cashew milk, cold pressed green juice, walnut milk or hemp milk. Last but not least, the superfood or additive. These can act as toppings or you can choose one that coordinates with your health goals. You can choose chia seeds, sunflower seeds, coconut flakes, cocoa nibs, ginger, bee pollen, turmeric, goji berries, collagen, greens powder, or sea salt. 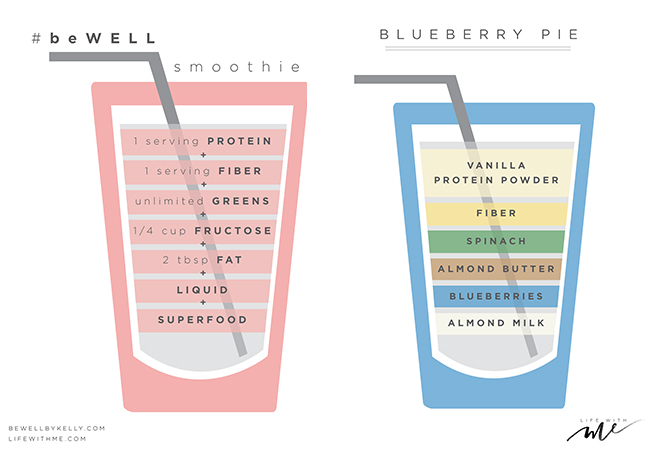 Here are a few versions of the Be Well Smoothie to try. Save them to your phone before your next trip to the supermarket! I loved this recipe because it’s so versatile and it tells you exactly what you need, so you can always play with the ingredients. I was making a similar one minus the greens and fiber. I will be making these smoothies for breakfast from now on. Great post! Can’t wait to try these smoothies recipes out! Hi Marianna! Great post. I was wondering what is the brand of the vanilla protein powder you use for your smoothies that you included in your snapchat? Love this!! 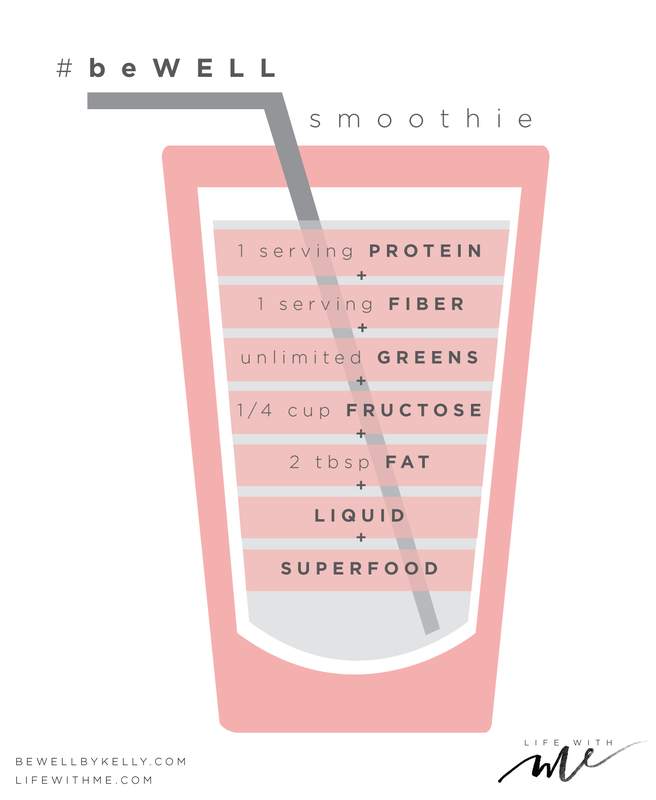 Going to try following these tips for my smoothies now! Thank you! Now I know how to make the perfect smoothie! Creamy green apple recipe sounds so yum. Is there any alternative you’d suggest for avocado?